Well, so much for the end of the farmer’s market, it looks like the market is still happening in downtown New Albany (and that’s a good thing!). We have just changed locations and headed indoors and out of the cold! This weekend begins our first week at the New Albany Fire Department Headquarters on Spring Street. Thanks again to Mayor Gahan for securing this location and to the New Albany Fire Department to graciously hosting, we are most appreciative. We still have home grown tomatoes and a few heirlooms will also be available. We will have cabbage, onions, white potatoes, sweet potatoes, winter squashes (acorn, spaghetti and butternut) even a few bell peppers. 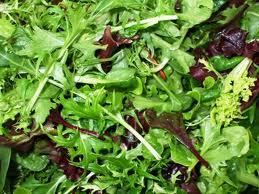 Our fresh baby lettuce will be cut and ready this weekend… we will have Red Sails and European Mix varieties this week. We are going to have plenty of greens; Swiss chard, kale and spinach as well as some turnips with tops and several varieties of mustard greens. 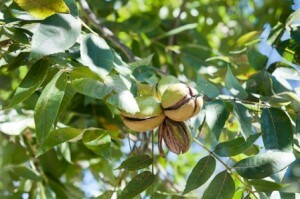 My grandsons have harvested their first crop of pecans and will have some at the market on Saturday. It’s soup weather so remember to check out the website for some delicious recipes… my County Onion Soup is awesome and we have plenty of “Candy” onions available. Don’t forget to pick up your farm-fresh, free-range eggs at the market . Just a reminder that we have been selling out early each week so come early or pre-order to make sure you get them.